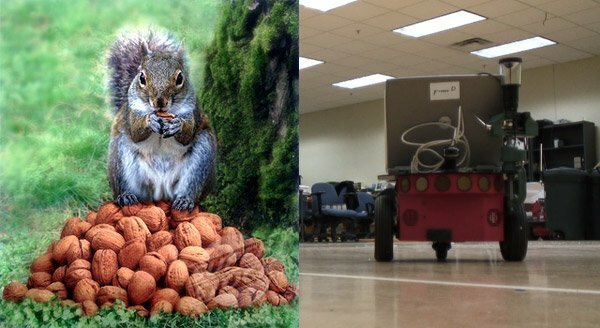 What do squirrels have in common with the deceptive robots that researchers from the Georgia Institute of Technology developed recently? Apparently, a lot, although that much isn’t obvious at first glance. If you’ve ever seen a squirrel in the process of collecting acorns, then you’ll see that they can get pretty protective and paranoid over their hoard of nuts. I get like this myself over my hoard of clothes, shoes, and gadgets, but not for the same reason as the squirrels. You see, they freak out because other squirrels might be on to their hiding places and steal their stash while they’re away. Meanwhile, my problem has more to do with limited storage space and less with theft, but that’s a whole different story. And if you’re having the same problem because you’re hoarding too much tech and stuff, then maybe it’s time to consider a self-storage space. Just a tip, what with the holidays (and more gifts!) coming and all. Anyway, once squirrels feel like they’re being watched, they begin checking empty cache sites to mislead any thieving squirrels and steer them away from the real sites with their acorns. This is the particular behavior that the researchers looked at and embodied into their deceptive robots. This application could be used by robots guarding ammunition or supplies on the battlefield. If an enemy were present, the robot could change its patrolling strategies to deceive humans or another intelligent machine, buying time until reinforcements are able to arrive. 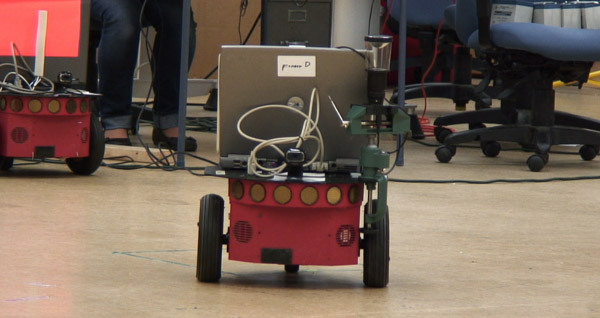 You can watch the robot in action in this video demo.